I posted over in the Artisan Bread discussion, and people asked that I post photos. This seems to be the place for that. A handsome array of breads, Todd! I guess 'old' and 'new' are relative, aren't they. 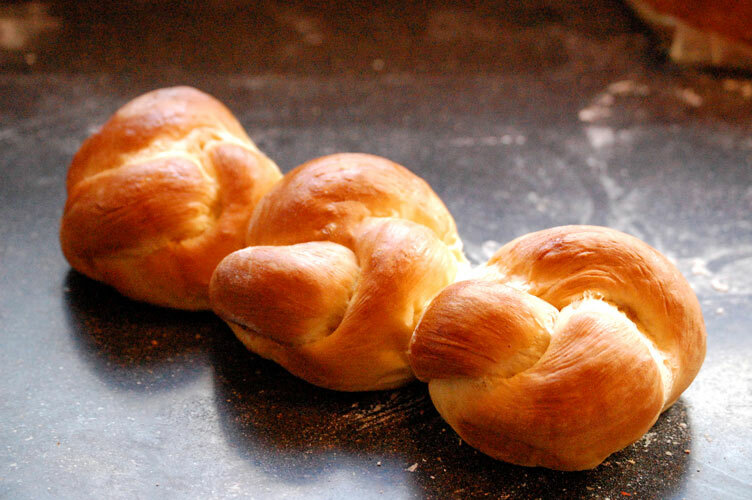 Isn't challah great? I'm a little suprised we americans haven't embraced it as we have other breads. It's a scrumptious, beautiful bread. I can assure you that its clean (and trimmed) at the moment. Does that help? I would like to ask you what're the key points you learned about wfo baking? What're the things you didn't expect to see at the course? Yes, I agree his course is expensive. I also think I learned plenty (!) and had way more fun in his course than I would have elsewhere. I was very suprised to come away from the course appreciating my own combi/convection oven. That's not to say the wfo isn't superior. It certainly can be (at least if you are skilled at creating the correct temperature environment for the bread)...but it isn't THAT much better. I was certain I would come away from the course with a desperate desire to buy or build an oven. I didn't. 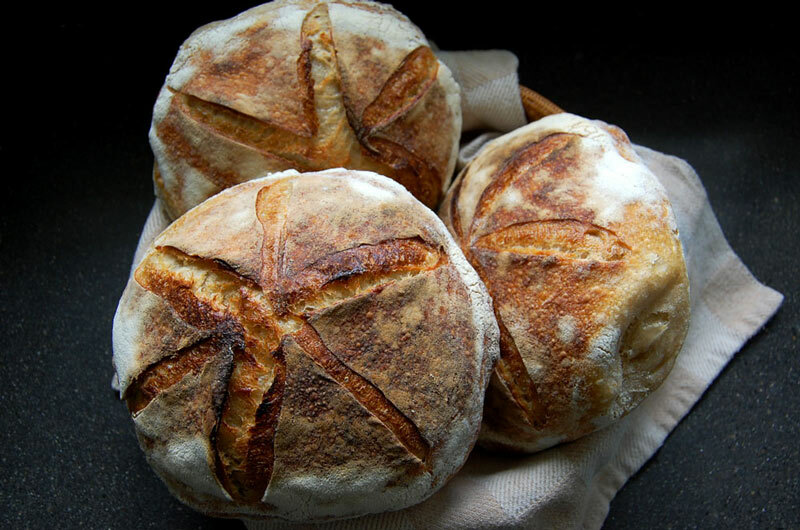 There's a whole lot of fantastic bread made without a wfo. Also, I gained an appreciation for the craft of building and maintaining the temperature in the wfo...and the satisfaction one receives from doing it well. It does have that similar element to making the bread itself. usually if you have your own wfo at home. It is not just limited to baking bread..you can cook or bake anything and more...the flavors are amazing that come from wood and coals burning. Out of curiosity, am I wrong in assuming the flavors from a wfo would be dramatically enhanced by utilizing one with a continuous fire / ember versus one in which the heat source is completely removed prior to baking (which seems to be the most common style)? My last recent bake included sausage, roasted veggies, pizza's and then buns. I left the last of the dying coals in the oven without removing to bake the buns. I use oak and because the coals had died down and reduced significantly there was very faint flavor from the dying oak coals. The most common way of baking bread in a wf pizza oven is to remove the hot coals and let the oven stabilize for at least an hour. A few weeks ago I bold baked sourdough boule's with larger coals still smoking and the flavor from the crust was awsome. Different wood gives different smokey flavors. Steaks are awsome grilled over the hot wood coals, a big difference from a gas grill or charcoal grilled. Julia Child has a video showing a steak being cooked directly on top of the wood coals, they are so hot the steak comes off clean. Every wfo is different, some have the fire underneath or inside the oven 'pizza wfo' and I'm still learning and experimenting with mine. You have some great photos - it is obvious you love and appreciate bread. This attribute will take you far along your path I am sure. Great photo skills. 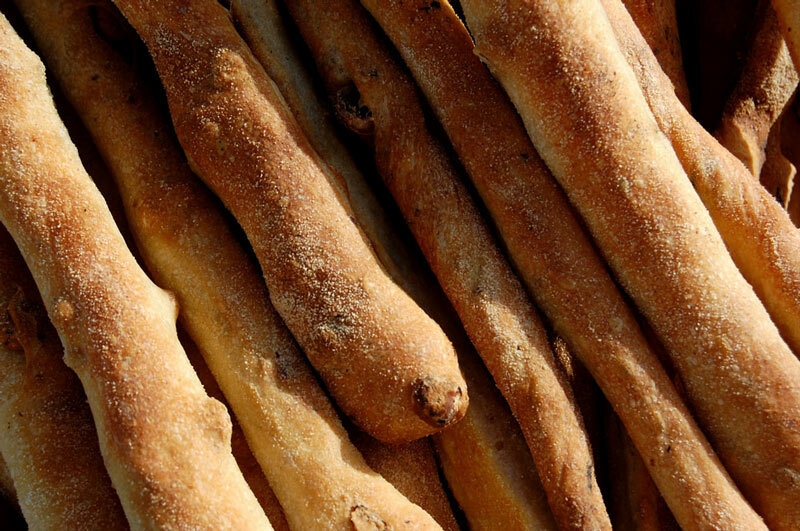 Something about the Grissini shot makes me want to hang it on my wall... and it certainly makes me hungry for some fresh bread! Gee, thanks for the compliments. 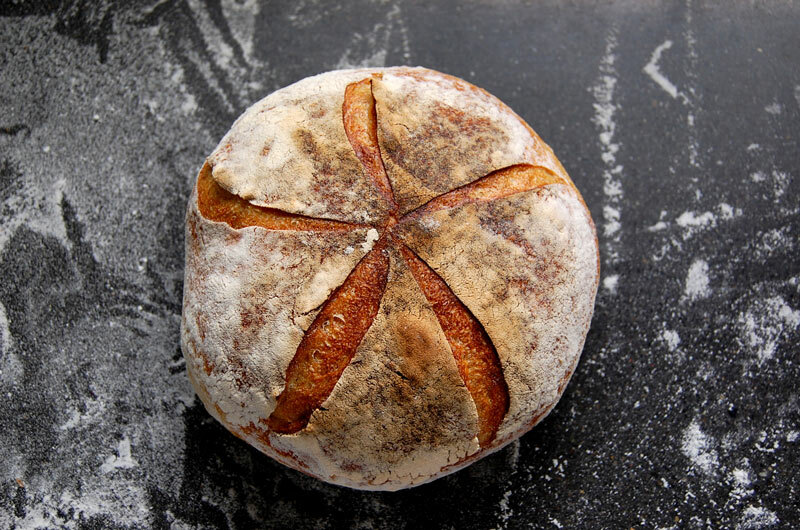 For me, the aesthetic of bread includes all senses, not the least of which is sight. Isn't artisan bread beautiful?? Old and new are definitely terms that can be defined in many ways. For me I saw an article in a magazine in 1975 showing a boy in his early teens that was making Challah and taking it around in a wagon and selling it in his neighborhood and selling it to friends and family. I was so impressed. They had printed his recipe. i have followed it ever since. It was my first bread and is my "go to" bread for most uses. I had never made a loaf of bread before that and had never even bought yeast before. I have never had a failure in bread making and feel so fortunate to be able to cont. all these years increasing my knowledge and learning more of the art of bread. The recipe I use showed up on the internet a few years back, and I haven't been able to find it since. ...and I've looked! Yeah, stale Challah makes fantastic French Toast. 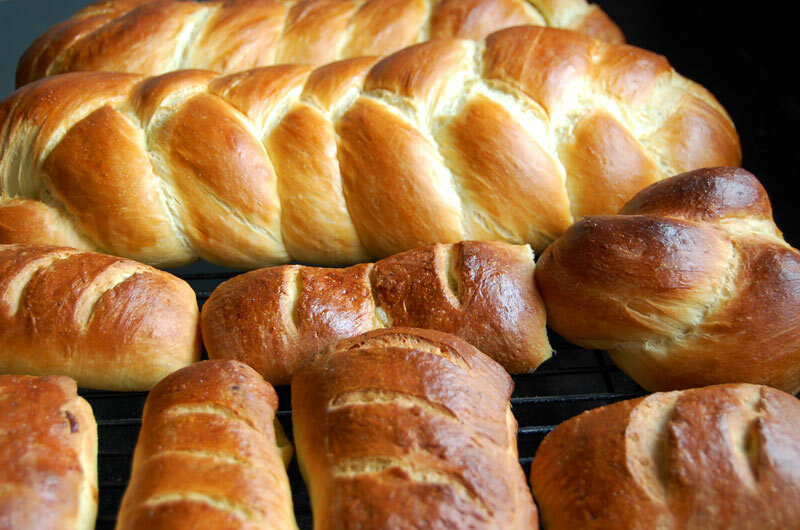 Around here, I can't think of a single time the Challah lasted long enough to go stale. I often bake extra just for the french toast. With regards to baking schools in the UK, I have two books by Richard Bertinet and I understand that he has a bread school in Bath. I'd love to be able to take one of these courses but I'm from Asia and it would be way too expensive for me so I'll just have to resort to learning the bread making skills from his books. 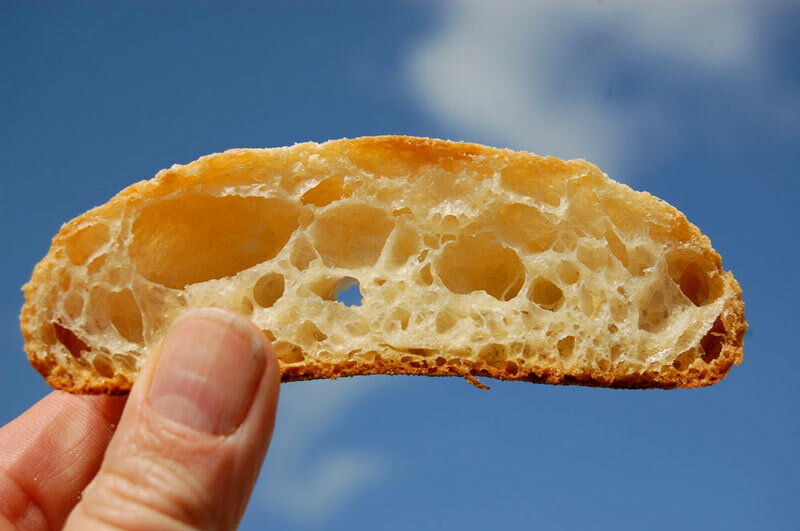 Thanks a bunch for sharing your experience with Carl Shavitz as well as the beautiful pictures of your bread. Thrilled to know you got so much out of his class. Your enthusiasm is making me quite excited in meeting Carl and learning how to bake bread next month, October 13-17, in Olympia !! I'm very much a novice and want to learn for the sake of baking good bread for family and friends. So why not learn from the best. Do you have any words of wisdom for me?! I'm reading some of the recommended books, but it all sounds Greek to me. Looking forward to learning by watching and doing. Sounds like he is a good instructor. I'm going to NYC for a 4-day weekend before my trip to WA - looking forward to checking out the local artisanal bakeries. I hope you like Carl's course as much as we (who took the course last year) did. In fact, we are having a reunion at Hains House after your course. 1. Prepare yourself to ask lots of questions. Carl is very good about demonstrating and explaining methods or theory, but also about answering questions. 2. Prepare your mind for puns. Lots of puns. Many of them bad. ...and after a year of taking the course you will still think about them and groan...and smile. and post your thoughts after the course.